A few players harbor hopes of college scholarships or professional contracts, but most players are in it for the love of the game. From the press box comes colorful play-by-play: "It's fourth-and-Wasilla for the Packers!" From the front office come promotions that help pay the bills: A big gain gets you a NAPA Auto Parts first down; jumping offsides earns you an Accurate Hearing Systems penalty. 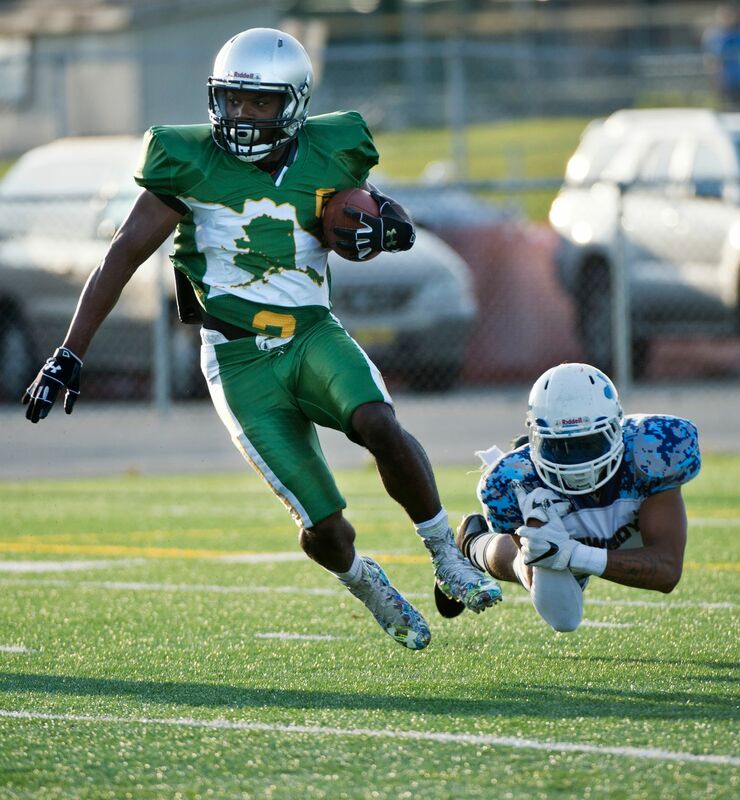 And from the guys on the gridiron come an assortment of dreams and realities that fuel the Alaska Football League. Most of the players are in their mid-20s or beyond. They're guys who are raising families and working jobs, sometimes more than one. Some go straight from day jobs to practice. Some go straight from games to night jobs. 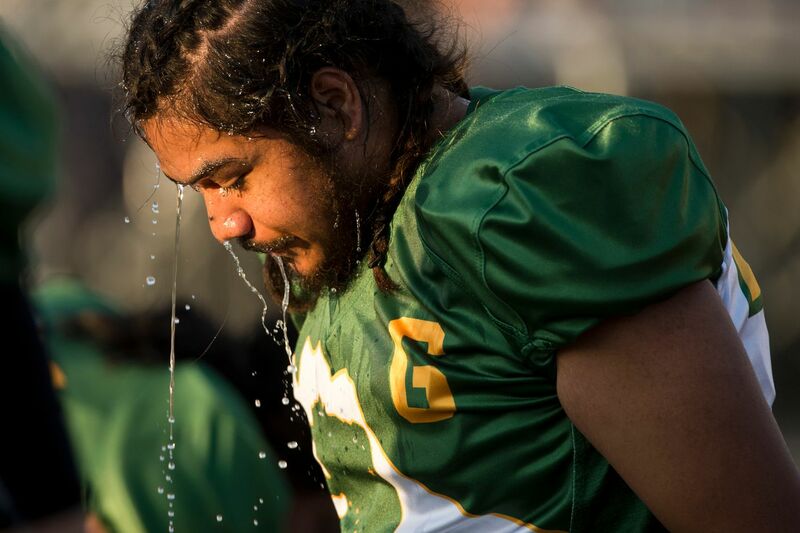 They sweat and suffer for a game they just can't quit. 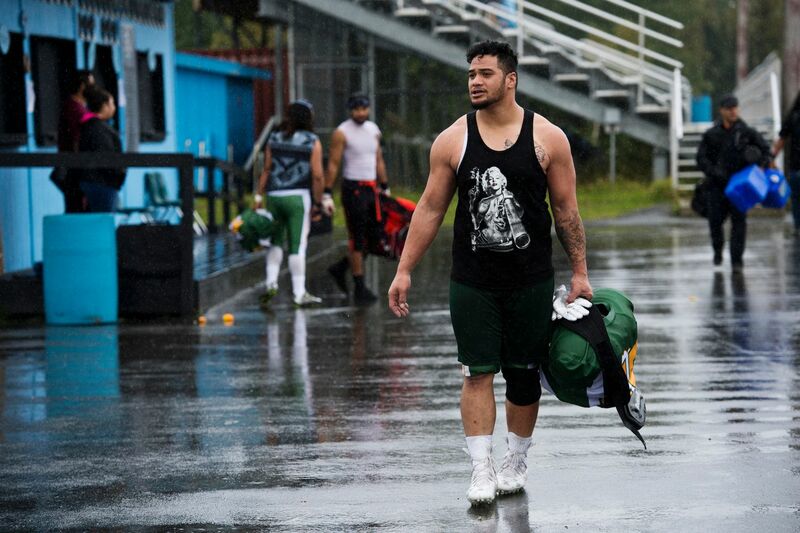 "Keepin' the dream alive," said Sone Su'a, a 23-year-old defensive end with the Greatland Packers. 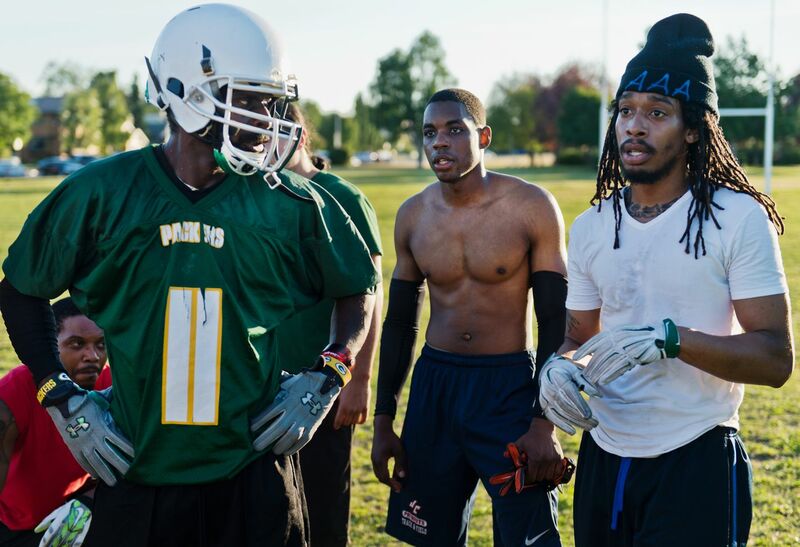 "Because football's not just a game to us. It's a game we love. 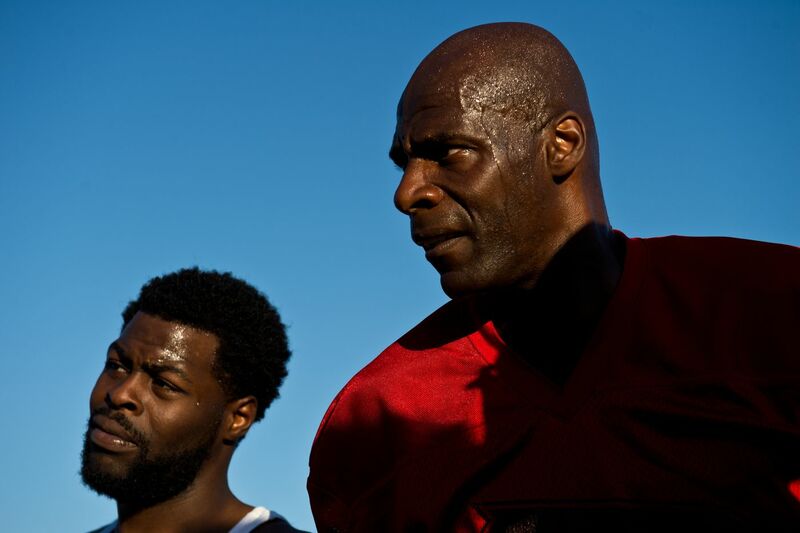 We're tryin' to stay in shape, tryin' to get noticed, tryin' to get in some conditioning." 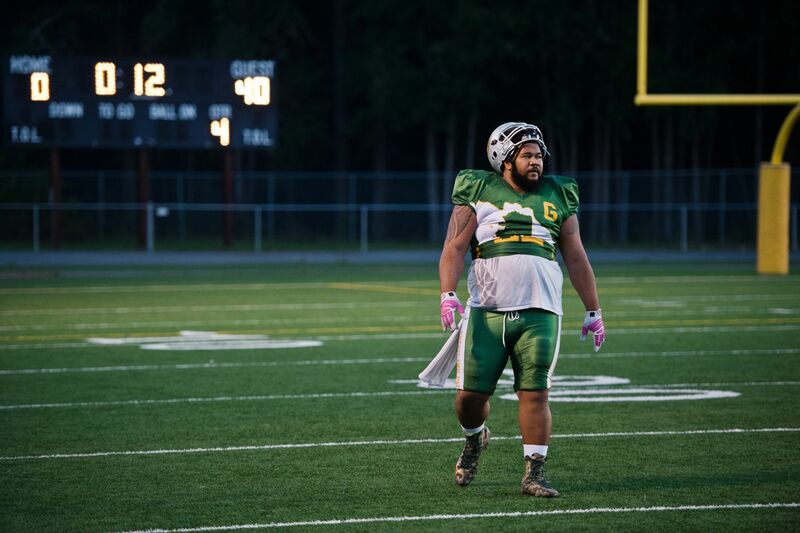 Football isn't exactly a lifetime sport, but the Alaska Football League gives guys like Su'a a chance to keep playing after their high school or college days are over. 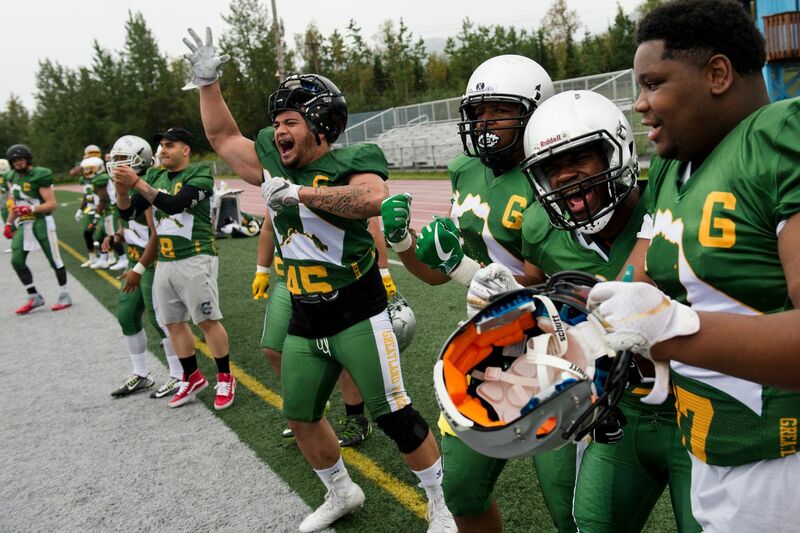 Created in 2008, the AFL has long outlived its beginnings as a development league for the long-gone Alaska Wild professional indoor football team. 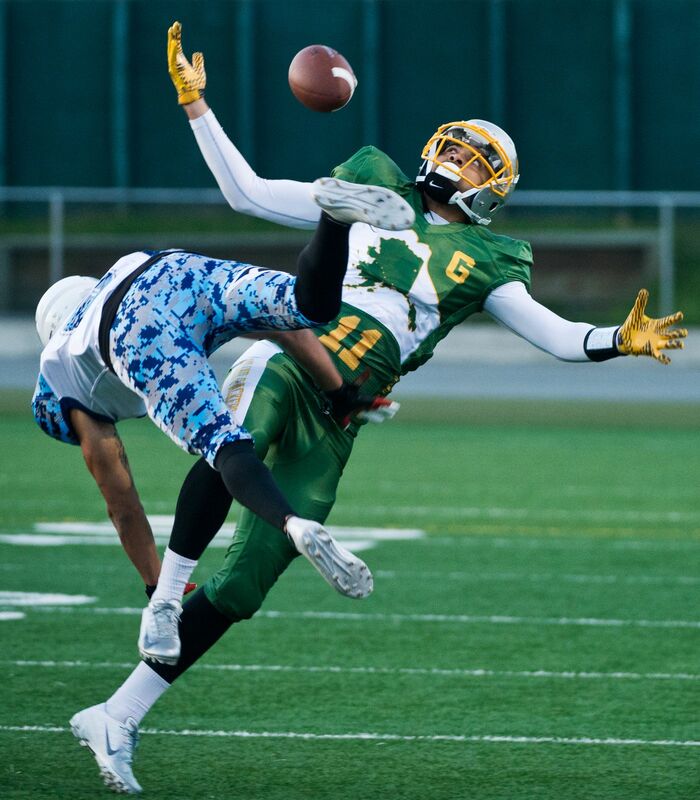 It's a five-team amateur league that plays 9-on-9 football from early August to mid-October, with most of the games played under the lights at Anchorage Football Stadium. Tickets are $5 for adults and free for kids. 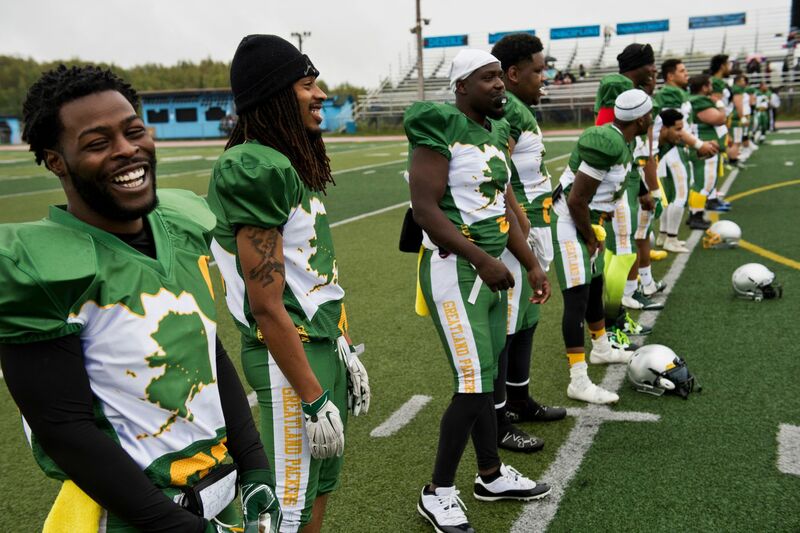 The league pays for officials and stadium rentals through sponsorships and team fees, while players chip in for uniforms and equipment. 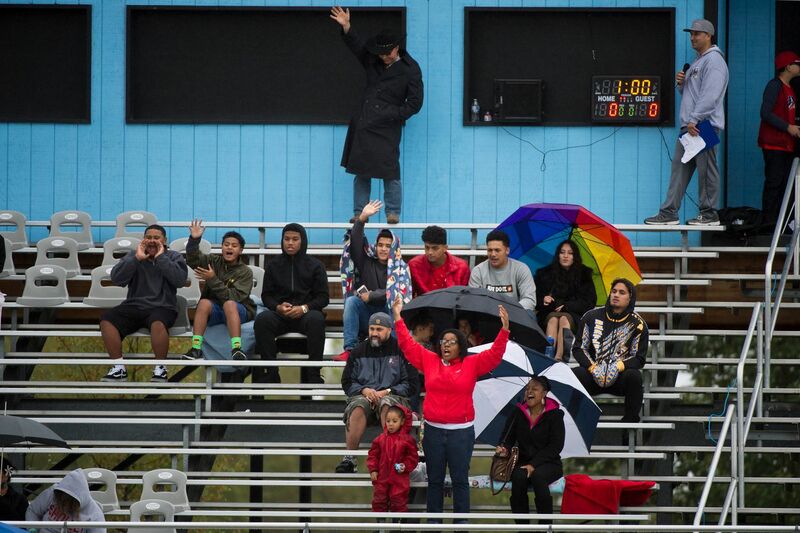 "It's low-budget entertainment," said Abe Hernandez, who started the league. "We're going on 11 years and we're proud to have been able to keep it around. 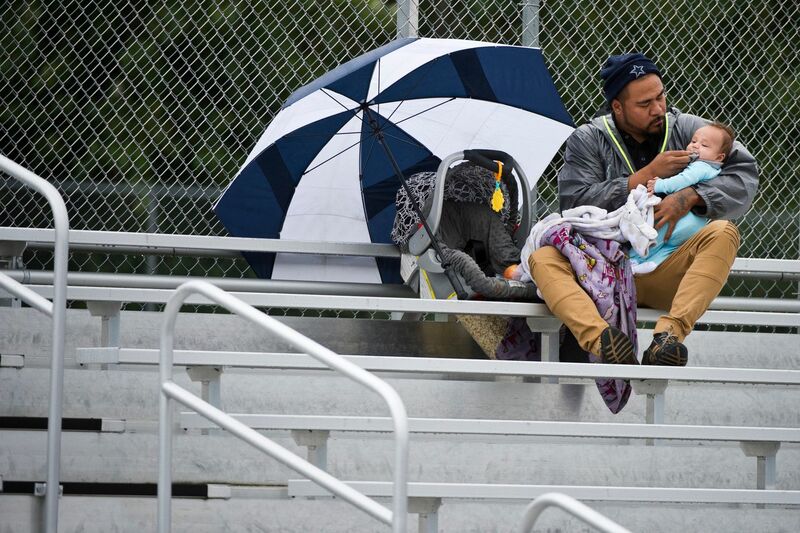 We keep the costs low because it's a community league, and that's important to us." 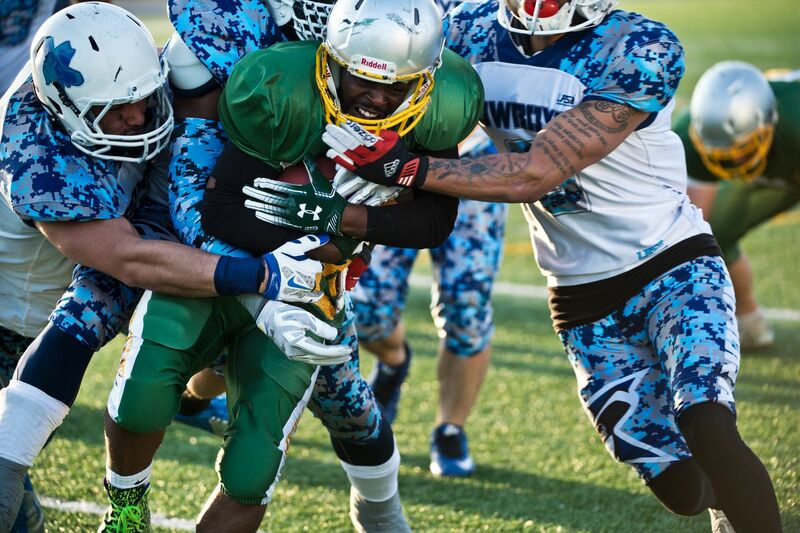 At a game earlier this month between the Greatland Packers and Anchorage Cowboys, the Cowboys cruised to a 40-0 victory in front of a crowd of about 150. On the field was a chain gang composed of young women called "Ball Babes." Between quarters, little kids were invited onto the field for sumo-bopper contests and other games. In the press box turning phrases like "it's fourth-and-Wasilla" was Delvin Myles, a 1990 Bartlett High grad who is a member of the Alaska Football League's Hall of Fame. Myles was all-Big 8 Conference as a cornerback at Oklahoma State and played professionally in Canada and various arena league from 1996-2004, including the Alaska Wild for the final four years of his career. Myles was over 40 before he finally retired. He understands football dreams, and he knows those dreams are part of what the AFL is all about. "Some guys just have to build up their skill set," he said. And a few AFL players have done just that, using experience gained in the league and exposure from its YouTube channel to land spots on junior college teams or professional indoor teams. But the majority of players aren't looking beyond the AFL. They have families, jobs, responsibilities. 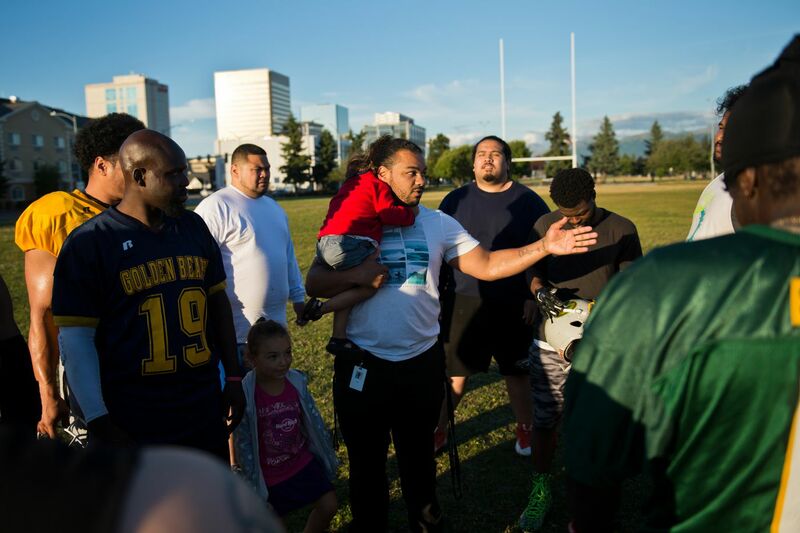 They just want to put on pads and helmets and play tackle football, "so this gives them a chance," Myles said. The game between the Cowboys and Packers showcased the range of the league's players. 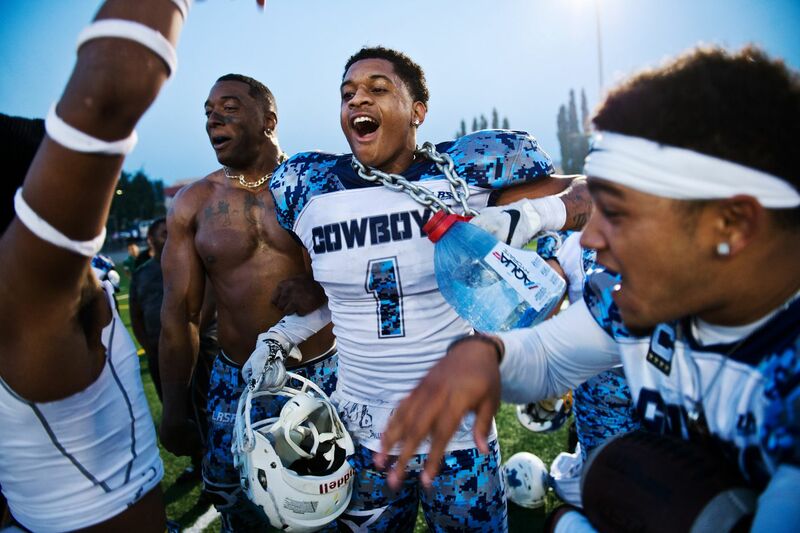 Leading the Cowboys to a victory was quarterback Shawn Adgerson, a 2010 West High graduate who spent last winter with the Kearney Hawks, a professional indoor team in Nebraska. Adgerson, 27, said he has played some form of professional arena football for the last several years and has no plans to quit. "I dream football. I sleep football. I eat football," he said. Adgerson is one of the best players in the league — in four games, he has thrown for nearly 500 yards, with six touchdowns and no interceptions. 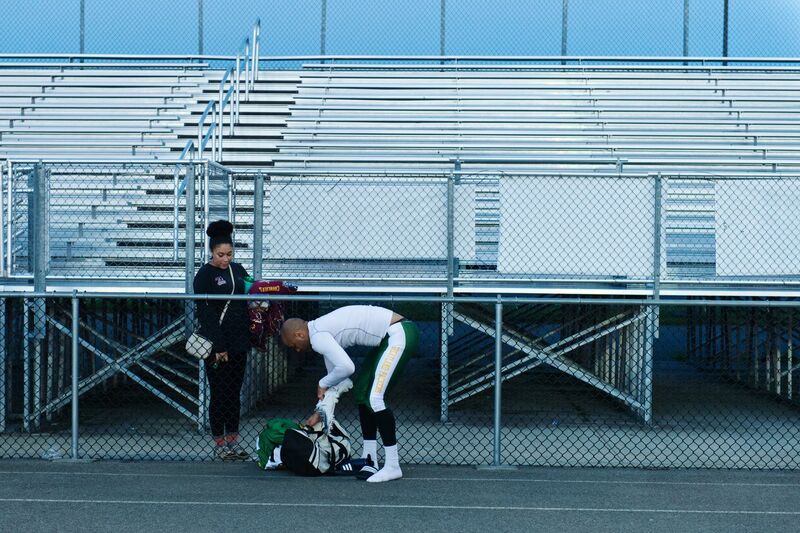 Maybe the best athlete in the league is Packers wide receiver Damon Sherman-Newsome, who is playing football for the first time in more than a decade. A 25-year-old Bartlett High graduate, Sherman-Newsome played three seasons of Division I basketball at Colgate University, where he scored more than 1,000 career points. He played a year of pro basketball in Spain before returning to Anchorage and getting a state job with Health and Social Services. He's a lean but solid 6-foot-5 who last played football when he was 14 years old. The game's camaraderie and competition drew him back, he said. 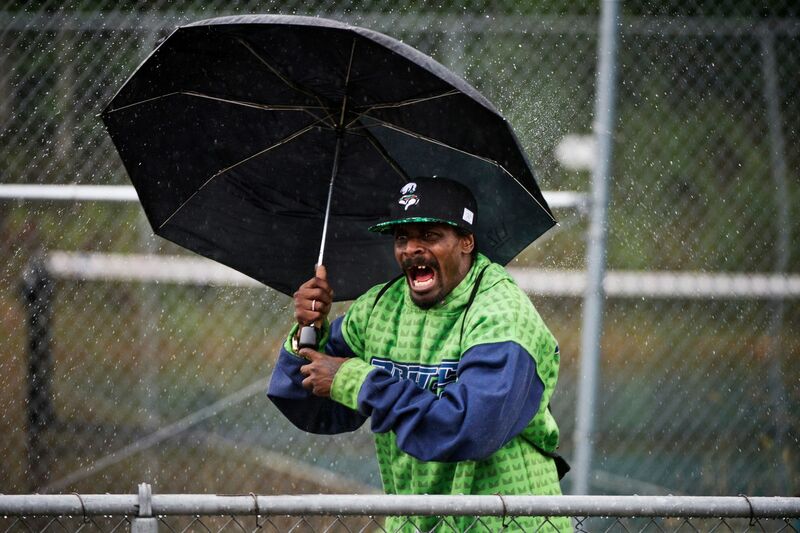 "I'm just trying to have fun," Sherman-Newsome said. "It's just another way to work out outside the gym." Defensive back Bernard Hutton has been in the league for a decade. He helped the Packers win back-to-back AFL titles in 2016 and 2017, but this season has been more of a grind. The Packers lost their first four games before finally picking up a narrow victory last week. 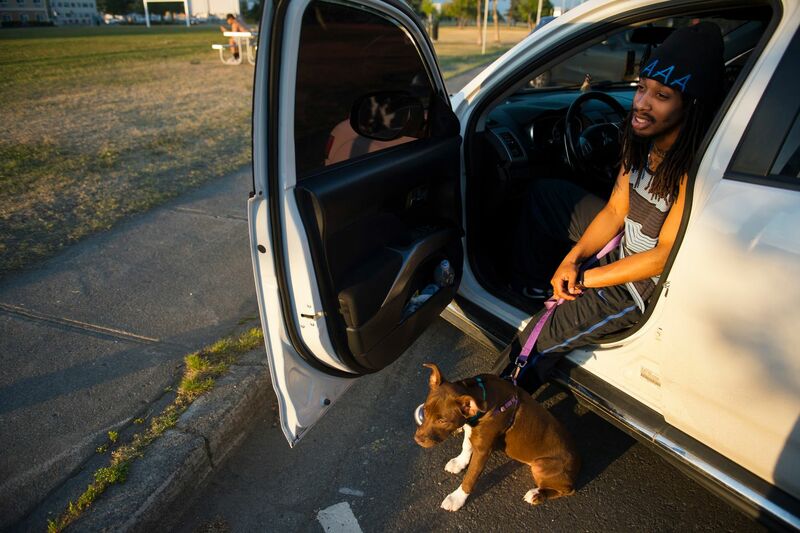 Hutton, an auto body tech, remains upbeat despite the losses. "Listen, I die hard for football," he said after the lopsided loss to the Cowboys. "I love the game. … It's not tiring, it's fun. It's recreational and it gets me out of the house." 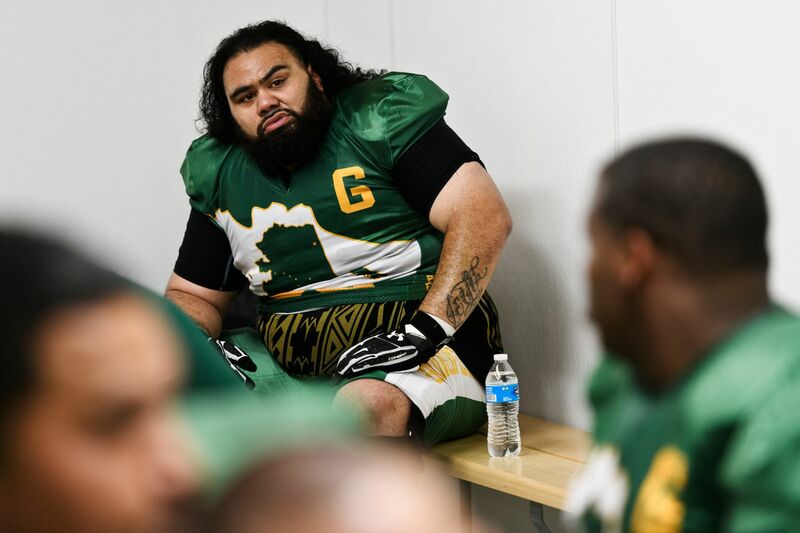 Packers lineman James Luaao, 32, is back in the league after a seven-year break. 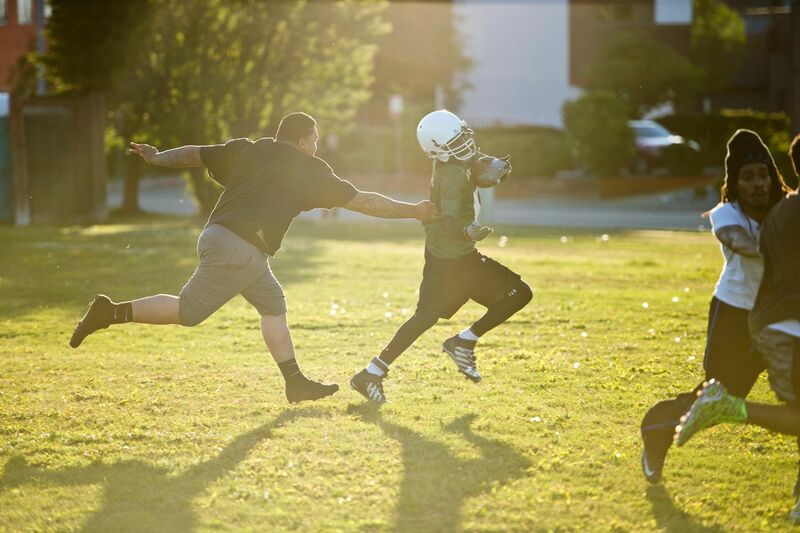 One of his sons began playing Pop Warner football this summer, making dad's return to the gridiron a special one. 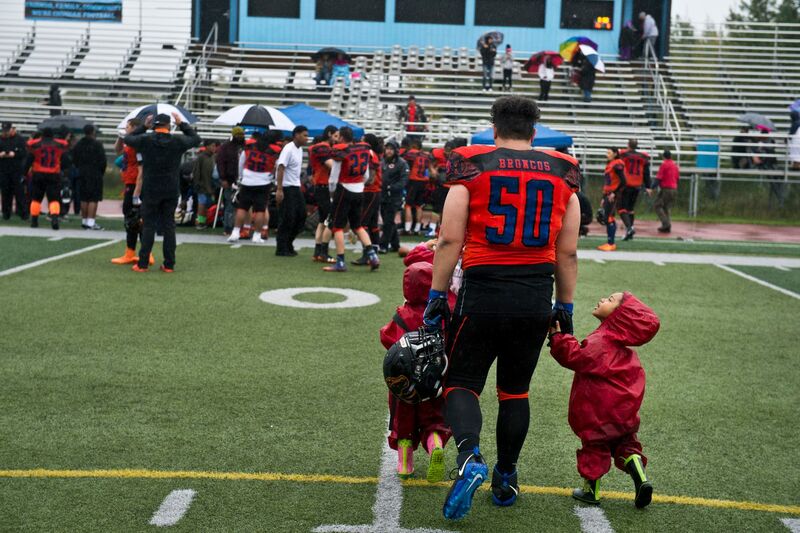 "First the dad watches the sons play, then the sons watch the dad," Luaao said. Luaao said he took time off from football to take care of his family and avoid injury. Now that he's working as a nurse's assistant for the state of Alaska, he's less nervous about injuries. "Now I've got good medical (insurance)," he said. And then there is Demetrius Lalofau, a mammoth offensive lineman for the Packers who fibbed when asked what position he plays. "Running back," he said, pausing for effect. "I run back and forth on the sideline." Lalofau joked that he plays football not to get in shape but to "find a shape." Pause. "A better one." Lalofau was quick with the wisecracks as he lingered with fans and players in the AFS parking lot after the loss to the Cowboys. It was nearly 10 p.m., but whatever aches and pains he needed to nurse would have to wait. In a couple of hours, Lalofau's overnight shift at the Anchorage airport would start. A long day? Yes. And well worth it. "I like to come out here and have fun," he said. "Bang heads and do what I know."